by Bill Dwight on Tuesday, July 26, 2016 at 4:08 PM | LEAVE A COMMENT! Is your child passing up opportunities to earn a few extra bucks around the house? Sounds like it’s time to set up a Money-You-Could-Have-Earned account. It’s a way to teach your kid that a few dollars here and there add up to significant dollars over time — especially when you factor in forgone compound interest. Set up a separate tracking account. Create a separate IOU account to track the amounts your child could have earned for all those ignored opportunities. 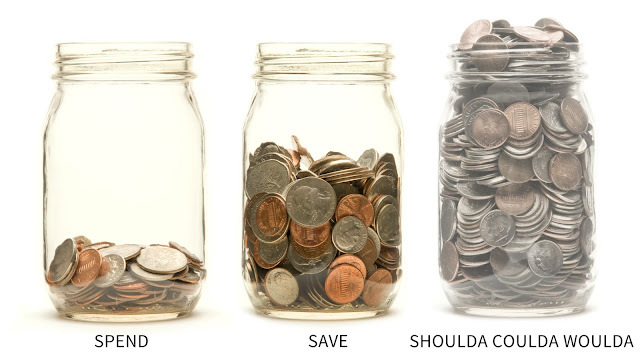 Set up a savings interest rate. 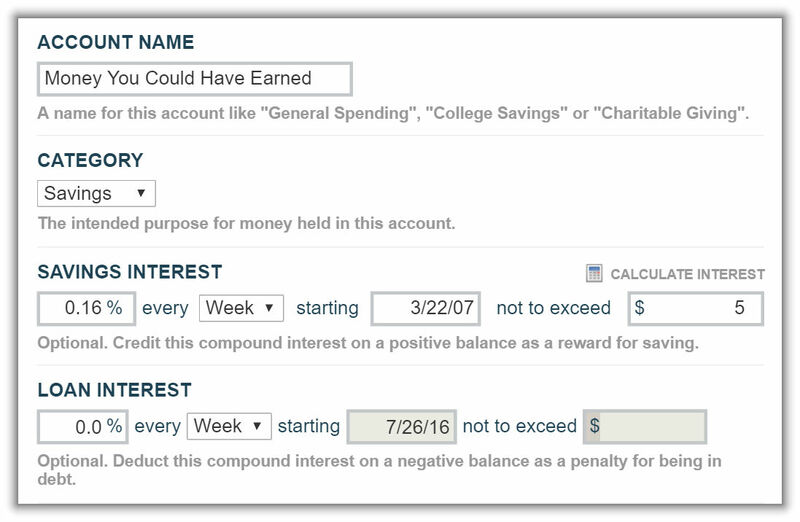 If you offer your kid an awesome parent-paid interest rate on savings (like you should! ), apply the same settings on the tracking account. That way, the rolling balance will reflect the missed compounding opportunity in addition to just the forfeited job earnings. 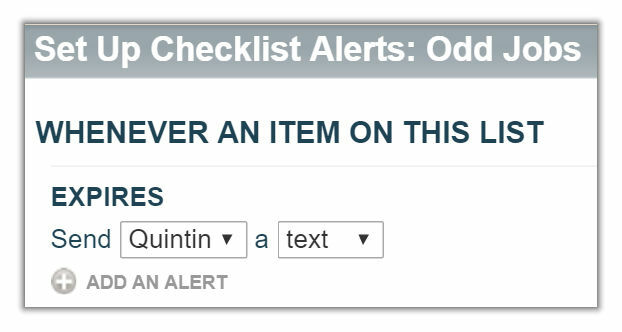 Set up an odd job checklist. Create a checklist of odd job opportunities around the house. Set the due date to indicate how long the opportunity is available. If it’s something that can be done on a repetitive basis like weekly or monthly, set the repeat frequency accordingly. 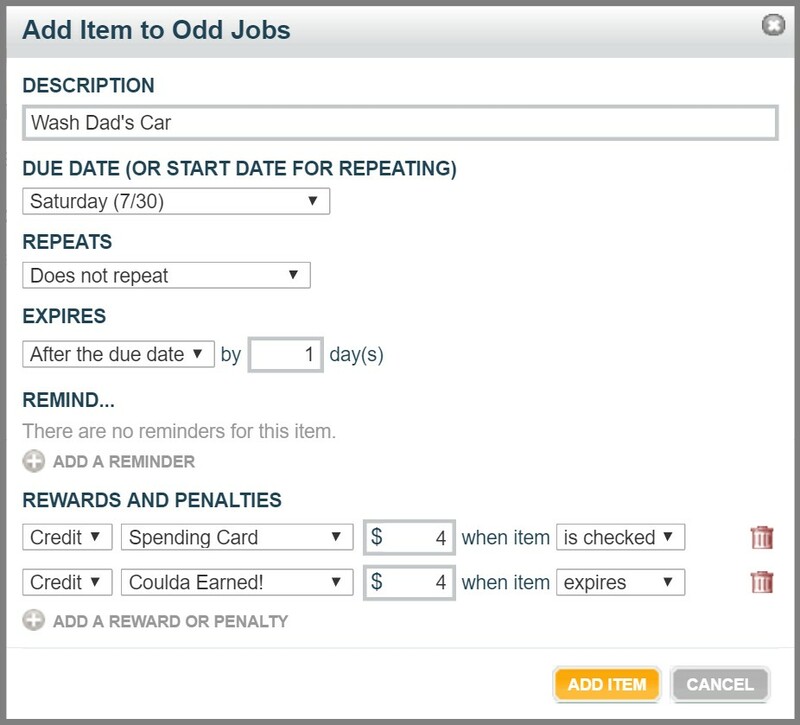 Add a reward amount for each opportunity that credits the appropriate account for your kid when the item is marked completed. Set up expiration credits to track the missed opportunities. This is the key part. Fill in the Expires setting on each entry so the opportunities will lapse shortly after each due date. Then, add a reward to each item that only triggers when it expires. The expiration credit should match the amount that would have been earned if the job had been completed. Direct the automated deposit toward the Money-You-Could-Have-Earned tracking account. Of course, I can’t guarantee that this will convince your kids to seize every odd job opportunity, but at least they’ll know exactly what they could have been worth — down to the last penny of interest.